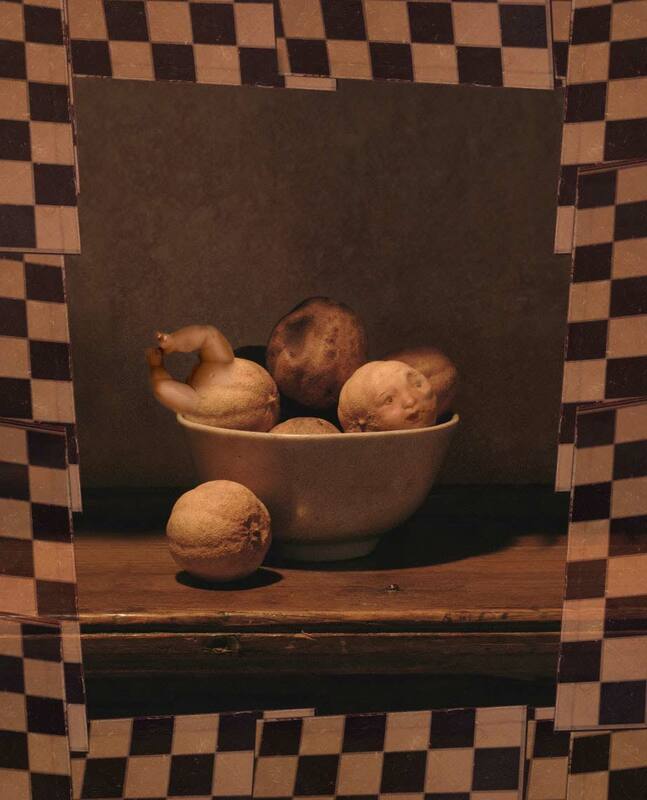 Still life photograph of shrivelled lime fruit in a bowl with a chequer board frame. One of the limes has sprouted two little legs and another has a face. The image is subdued colours.